Choose the flyer design that best fits your marketing needs. 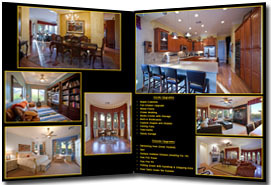 Each order is customized to make sure your flyer is attractive and professional. We will include any logo's, self portraits, and text you provide. We always email the final draft for approval before printing. 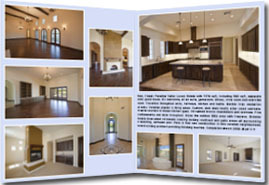 Flyers and brochures are printed on a high end professional printing press. You will see the difference with sharp and vibrant images. Colors run all the way to the edge of the paper. This is an appealing technique called "full bleed" where there are no margins. 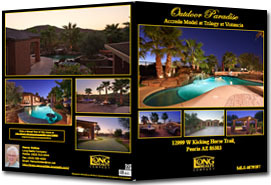 Flyers are printed on premium quality paper. Premium prints use glossy 100# paper (the thickness of a postcard or magazine cover). After final draft is approved, printing will be finished the very next business day. Four Sides - 11" x 17" folded in half (four standard 8.5" x 11" pages).